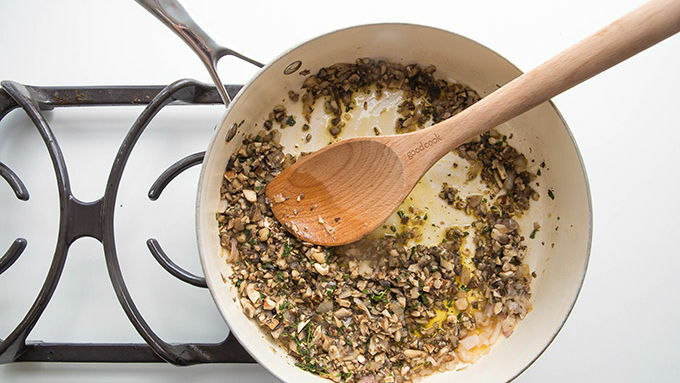 In a large skillet, heat chopped mushrooms, shallot, thyme, sage and margarine together over medium-high heat. Cook until the butter and mushrooms begin to turn a medium brown. Whisk together vegetable broth, cornstarch and tamari. Whisk into mushroom mixture in skillet, continue to whisk until the gravy begins to thicken. Salt and pepper to taste. 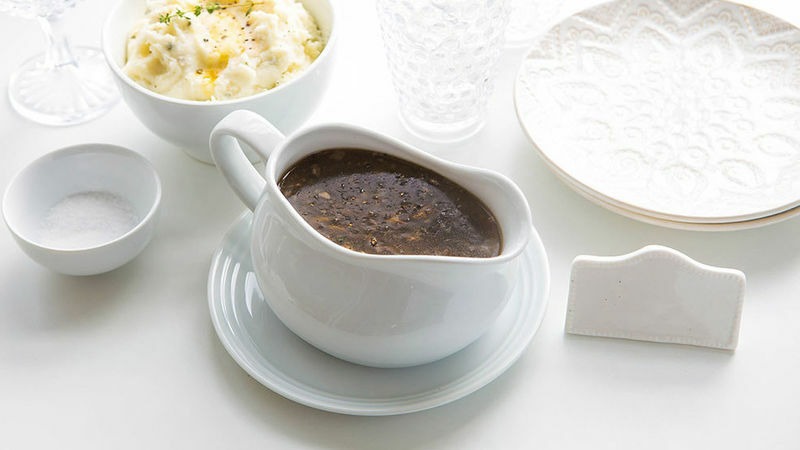 Serve over your favorite gravy-topped treats! If desired, use flour instead of cornstarch for thickening. Simply sprinkle 1/4 cup of flour over the mushrooms as they brown and omit the cornstarch. Let’s just agree, you and me, that we save the word “obsess” for the truly important parts of life. Really killer heels, for instance. The kind with strappy straps that make your calves look like the stuff of supermodels. Obsessed. Or, say, those weekend evenings when you’re surrounded by friends and sucking down good, local beers. Obsessed. Or puppy channels. Or cat photos. Or online shopping at midnight. Obsessed. But gravy? I mean. Level with me here. Is gravy even something anyone gets obsessed about? I dunno. It’s brown. It’s gravy. It’s not that obsessy. Except it IS! When you go and make a pot full of VEGETARIAN gravy that tastes like, oh, browned butter and savory happiness and basically the best gravy of your life, we’re allowed to obsess. Come with me on a little kitchen journey. 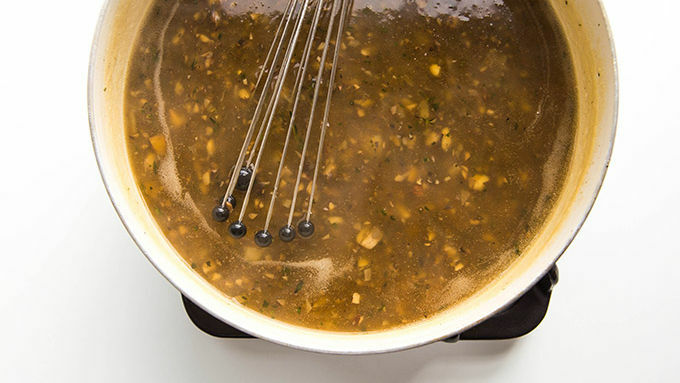 It’s time to get our gravy obsessment on. I think I may be making up verbs. Now, here’s a note for all of you fellow gravy obsessors: I made this recipe assuming that if you’re eating vegetarian, you’re likely also trying to go gluten-free. BUT, if you’re a gravy purist and do not believe in the cornstarch approach, you can totally thicken your gravy with flour. And now, dear gravied ones, it is time to obsess. Make mashed potatoes. Conjure some veggie sausage and biscuits. Create a plate of whatever you please. Then, make the gravy happen. This is one recipe totally worth obsessing over. The ultimate way to unite the world. Or, at least, to bring together meat lovers and veggie lovers at the dinner table.